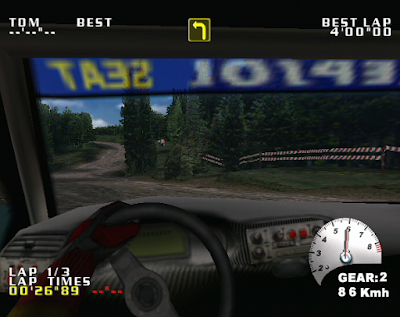 Racing games are my favourite genre by far, and within that the sub-genre of rally is easily my preferred flavour. I'm not really a fan of the real life WRC and I couldn't even name the current world rally champion without Googling first, but there's something massively appealing to me about charging a powerful saloon car through muddy trails as the rain lashes the barren digital landscape. The roar of a virtual engine, the co-driver's pace-notes warning of every up coming hazard, the feeling of total isolation on a desolate moor, dark forest or arid desert stage. 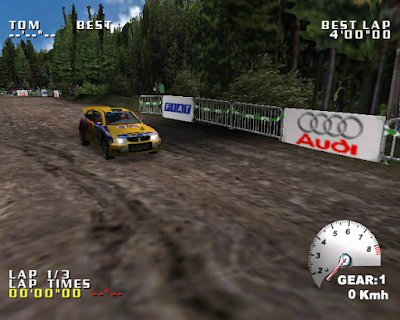 Over the years I've played many, many different recreations of the motorsport on a wide range of consoles. The stand out titles for me are games like Sega Rally on Sega Saturn, Colin McRae Rally 2.0 on PlayStation, Top Gear Rally on Nintendo 64, WRC: Rally Evolved on PlayStation 2, RalliSport Challenge 2 and Colin McRae 3 on Xbox, and DiRT Rally and DiRT 4 on PlayStation 4. There are plenty of other high quality rally titles on a range of consoles, both retro and contemporary that stand out but we're here to discuss the Dreamcast so let's get this show on the road/muddy track. The Dreamcast only really had two rally titles released during its lifespan - Sega's own flagship title Sega Rally 2, and Infogrames' V-Rally 2: Expert Edition. 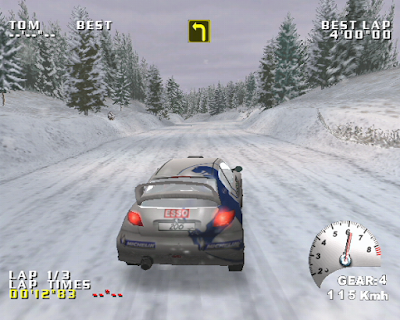 Later came Rush Rush Rally Racing (and Rush Rush Rally Racing Reloaded) from Senile Team; and there was the legendary unreleased Colin McRae 2.0 from Codemasters, but as far as full-on official retail releases go, Dreamcast owners have but two games to choose from. One of the first things you'll probably notice about V-Rally 2 for the Dreamcast is that it sports a curious sub-title - Expert Edition. This was most likely added to distinguish it from the earlier PlayStation release, a game which is every bit as good (and bad - more later), but is graphically inferior for obvious reasons; and also known as V-Rally 2: Championship Edition. 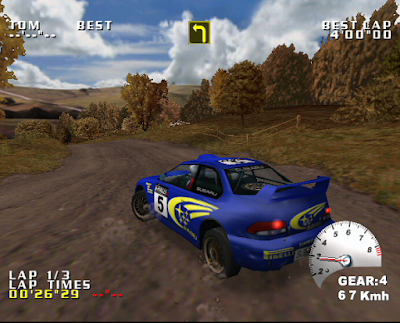 To add further confusion to the equation, the NTSC-U version was released under the Test Drive brand, and as such is called Test Drive: V-Rally; while the PlayStation prequel is known as Need For Speed: V-Rally. Ridiculous naming conventions present and correct, utter confusion: confirmed. Upon entering the main menu you're greeted with a 'create-a-driver' option and after this a fairly extensive range of game modes and options. What's more, whereas the game's only contemporary rival Sega Rally 2 focusses on more idealised environs to race in, V-Rally 2 takes a much more realistic approach, sticking to courses that are predominantly point to point and located in real-world rally destinations. Therefore, you get to race in Wales, Corsica, Australia and Argentina, as opposed to nondescript Desert, Forest and Mountain regions. The stable of vehicles too is far more diverse than that seen in Sega Rally 2. Here, you are treated to a range of rally cars spread across several different classes, with 1.6l and 2.0l kit cars, genuine WRC beasts and even the banned Group B monsters from the early 1980s all on offer. There are no teams or anything as advanced as the career modes found in modern rally titles such as the aforementioned DiRT 4, but the sheer number of games modes is commendable. 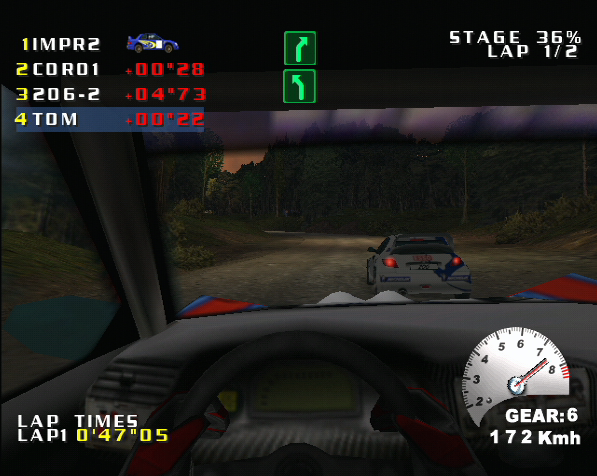 Having previously experienced V-Rally 2: Championship Edition on the PlayStation prior to first playing V-Rally 2: Expert Edition, I had some idea of what to expect from the Dreamcast re-master. But even with this prior knowledge of the franchise (I'd also played the first game on both the PlayStation and Nintendo 64 by the time the Dreamcast game hit the shelves in 2000), nothing could have prepared me for the leap in visual quality between the 32-bit and 128-bit iterations of Infogrames' title. 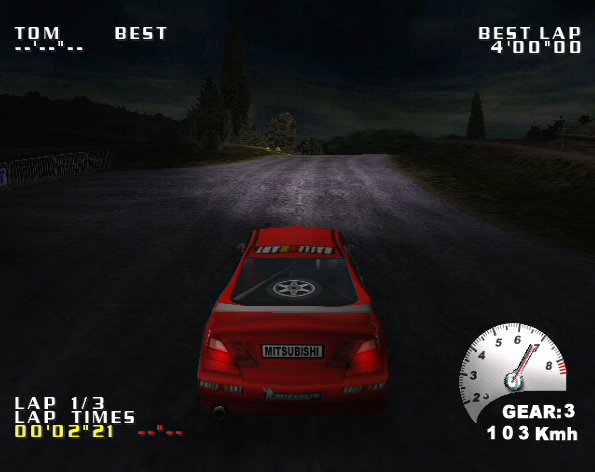 Being a console from a generation later than the original PlayStation, this graphical improvement should have been expected, but to see the two iterations of V-Rally 2 side by side is like looking at night and day. Hi-resolution detailing in the environments, real time reflections in puddles, a range of lovely weather and lighting effects and decent (for the time) vehicle damage effects make V-Rally 2 on the Dreamcast a treat for the senses. That's not to say that the PlayStation game is ugly - far from it - but the limitations of the hardware understandably have a knock on effect in the visual department. 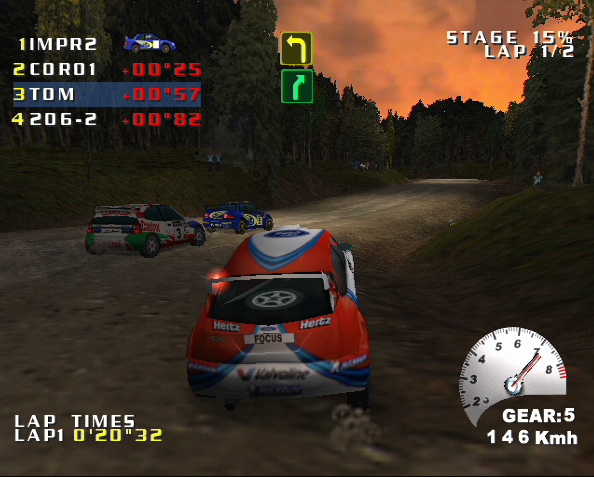 So V-Rally 2: Expert Edition has a lot going for it in terms of championships, unlockable vehicles and tracks to race on; and it even has a four player split screen mode. It looks good, has a lot of variety and sounds pretty decent, too. There's no official WRC licence, but there are a glut of real-world vehicles such as Subaru Imprezas, Toyota Carollas, Mitsubishi Lancers and Audi Quattros. There are arcade style Rally Cross and time based simulation modes and even a track editor so you can create your own stages from a set number of different environmental elements. It's a great package on face value. However, there is a slight caveat in my opinion: the handling model. Have you ever wondered what it might be like to drive a Subaru Impreza on the moon? 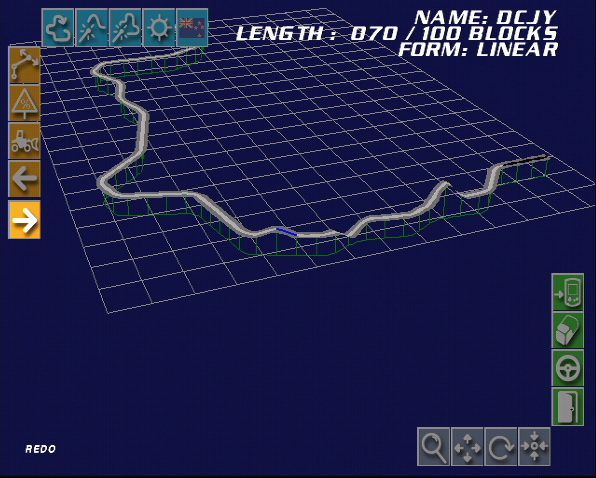 Try V-Rally 2: Expert Edition and you'll get a good idea. For all the positive aspects, the handling model is the only bugbear I have with this game. Power sliding - a staple of the rally genre - is virtually impossible due to the way the vehicles simultaneously stick to the track and careen around as if they have bouncy castles for suspension. It's hard to explain, but the cars are incapable of sliding, but yet bounce and lurch around corners with the urgency of a mattress...and this is a bit of an issue for a rally game. It gets even more problematic if you try to use the (admittedly awesome) internal cockpit view, as the amount of camera sway when you turn corners is akin to DOOM or Duke Nukem 3D. V-Rally 2: Expert Edition looks great, it sounds great and it offers a gut-load of challenge in the form of cups and championships and unlockables (seriously, the amount of unlocakables is mind-boggling). Sadly though, much like Vanishing Point, the overly bouncy physics and inability to effectively power slide lets the game down. This isn't to say that the game is bad per se, but there's something very unsatisfactory about the handling. 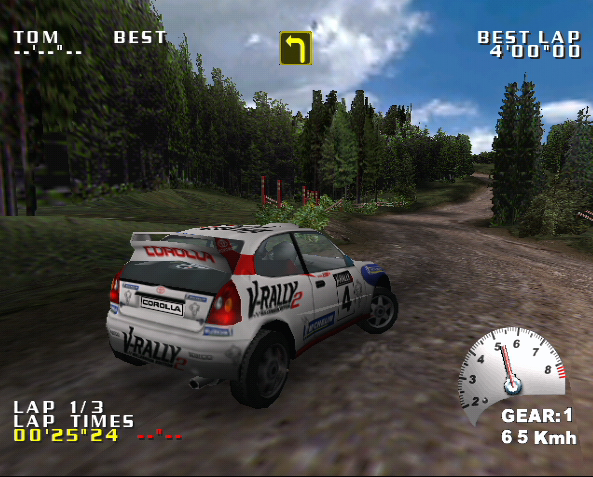 This was rectified in V-Rally 3, and hopefully will continue to feel good in V-Rally 4, but for all its positives the Dreamcast version of V-Rally stumbles on this fairly major point. There's also a pretty bizarre glitch where pulling the brake (on the left trigger by default) causes the engine of your car to hit full revs. It's quite a strange thing to describe and will certainly have many gamers relying only on the handbrake after a few stages. Neither of these weird control issues was present in the PlayStation game, so it's annoying that the Dreamcast version brings such fantastic visuals but eschews the control model seen in the previous game. What do you think? Are you a fan of V-Rally 2: Expert Edition or the series as a whole? And are you excited about the prospect of a new instalment of the series? Let us know in the comments, on Twitter or in our Facebook group. 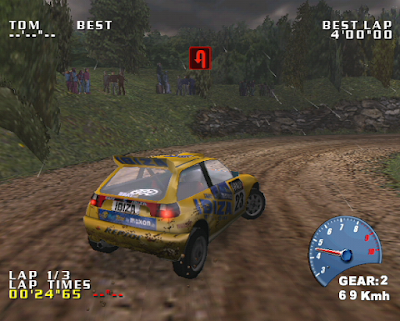 I loved Sega Rally Revolution on Xbox 360 which was, admittedly, the only V-rally gave I've ever played. I'm eager to try out the new V-Rally on Switch! Really love this game. Used to have the first on PSX, and it was an awesome game as well. It has issues but still really fun. Vanishing Point was also awesome. Once you get to grips with the controls it is one of the best arcade racers going. Honestly - give it another go. Flinging the Lotus Elise through the tunnels and weaving through single pixel gaps between vehicles is one of gamings most gratifying moments. I would highly recommend a relatively unknown racing game on the Dreamcast called Spirit of Speed 1937 if you haven't heard of it before! I always wondered why I didn't like the dreamcast version of this game after having such fond memories of it on ps1 back in the day. The handling really is much worse on the DC. As soon as I applied the old DC trick with vanishing point of constantly pushing forward on the analogue stick and rolling it left or right to steer I started loving the game. VP is also one of the only games that I actually prefer to use the steering wheel (with the sensitivity turned down a bit).